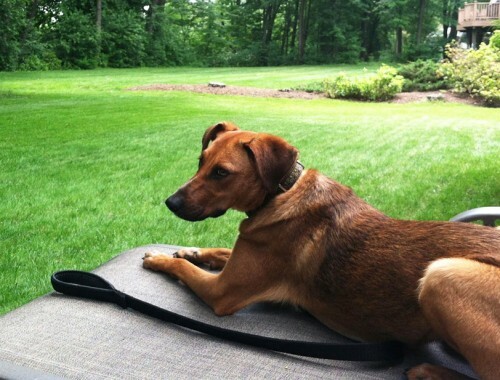 If there’s one thing that my rescue dog Cambodia loves, it’s being outside. Give her a plot of grass and this pup will lay in it and scan for squirrels for hours. HOURS. It’s because of this I knew that she would love camping. An entire weekend to sunbathe and sniff and lay amongst the pine trees? It doesn’t get any better than that unless you serve her cheese on a silver platter. 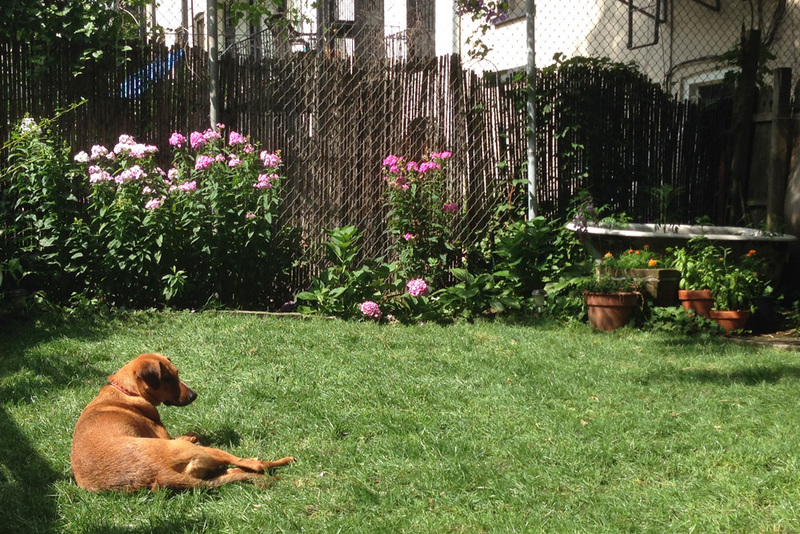 Bodie’s dream afternoon: sunbathing/squirrel-patroling in her Brooklyn backyard. 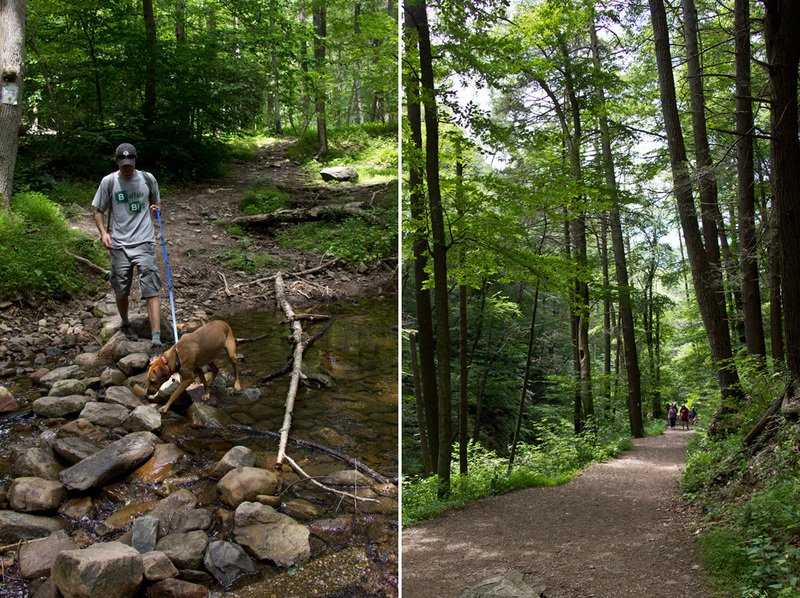 For Bodie’s first camping trip, we headed out to the Poconos in eastern Pennsylvania – a short 2 hour ride from Brooklyn just on the other side of the Delaware Water Gap. 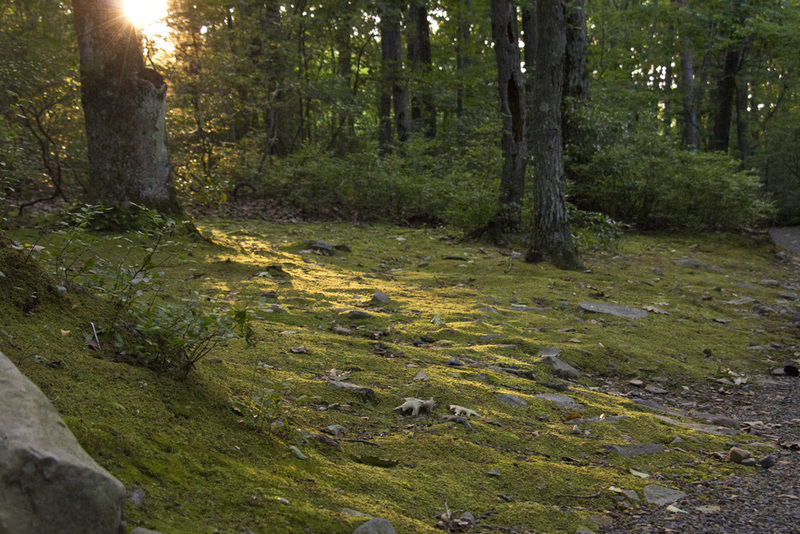 As of late, the Poconos have weirdly become somewhat of a hipster haven. Rising rents are drawing the people out of the Williamsburg/Greenpoint area, and growing families make NYC living too difficult. But that’s not why we chose the Poconos. Clearly I’m more of a hippie-haven kinda girl. 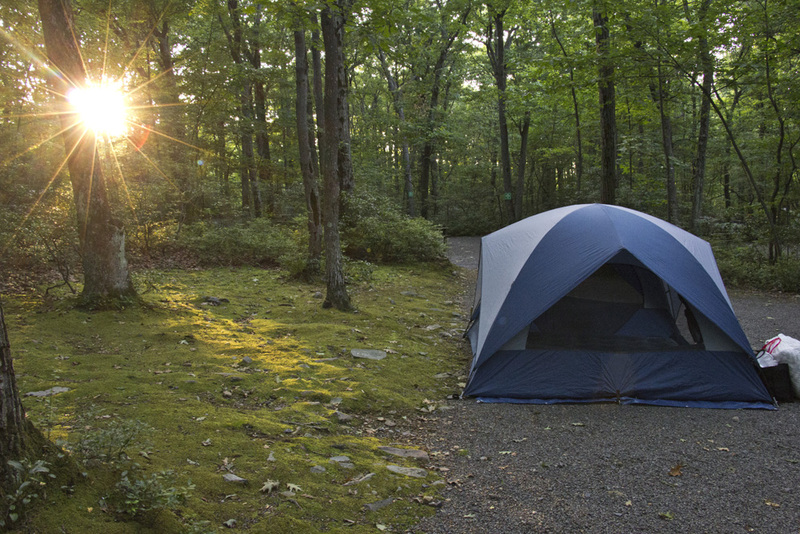 We chose to camp in the Poconos for its proximity to NYC, it’s vast hiking possibilities, and for the Delaware River. 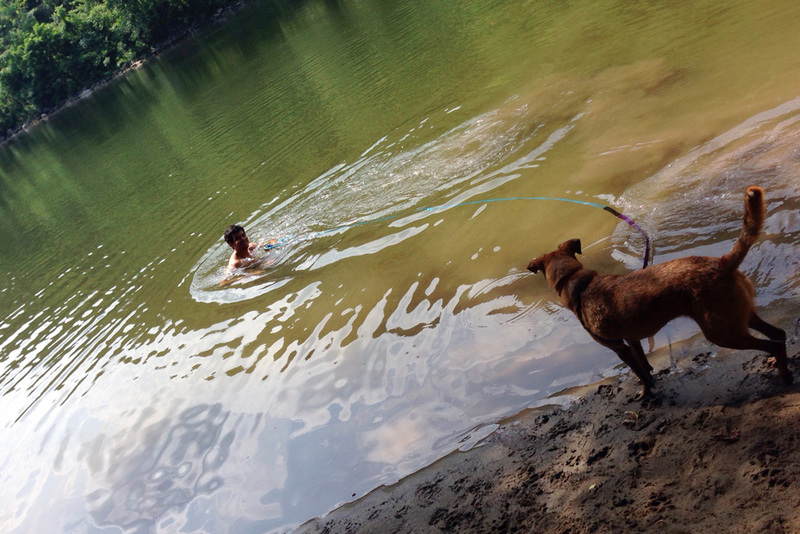 Not only would this dog be camping and hiking, she would also be learning how to swim. We stayed at a family campground in hopes of having quiet site neighbors that wouldn’t set off any barking in the middle of the night. 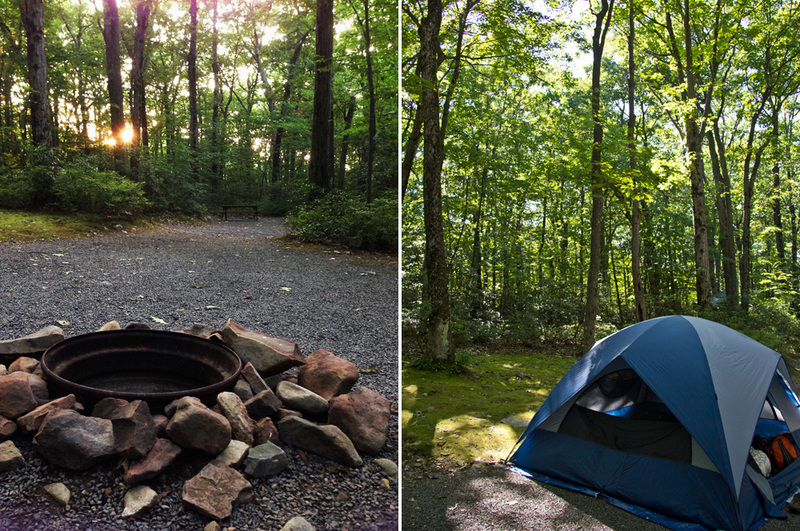 Mount Pocono Campground fit the bill perfectly, and at $35 per night for a quiet campground enveloped in pine forest, I couldn’t complain. The campground itself has a host of facilities like a pool, sports equipment, and indoor recreation, but the only thing we used was the dog run. We spent our time either on the trail or in the pine trees. The grounds were clean, well maintained, and perfectly sized for the three of us. 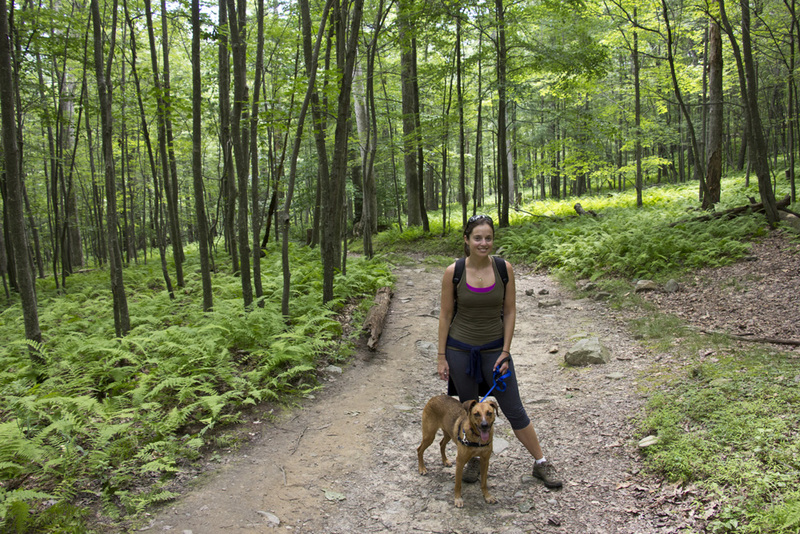 Our loop had us following the white blazes of the Appalachain Trail, then veering right onto a red blazed trail called Holly Spring, and then looping back down to the trail head via the Dunnfield Trail, blazed in green. If you don’t know what I mean by “blaze,” I’m referring to paint markings that signal the proper direction of a trail. 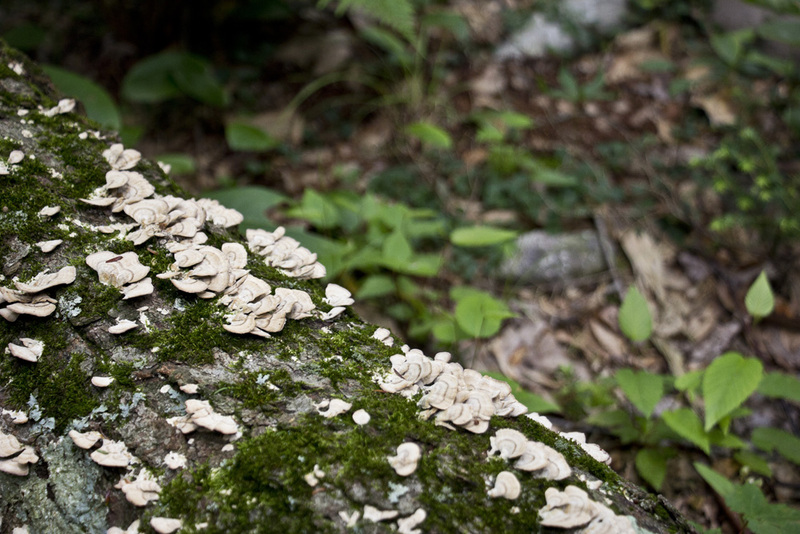 You’ll find them brushed onto trees and rocks along the path and there is even secret trail language based on the number and design of the blazes. 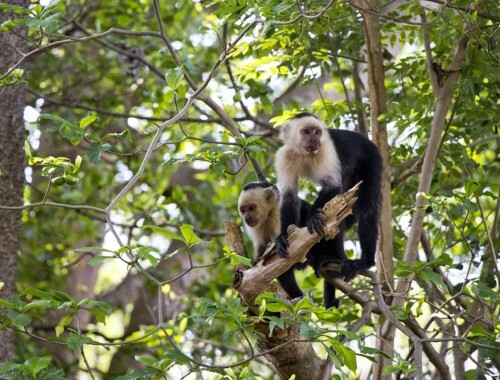 (Check it out) They are sort of like environmentally friendly road signs. I don’t like to admit it, but I am notoriously bad at navigating trails despite having a near-perfect sense of direction and navigation skills in a car or in a city. On a trail, I second guess myself, get confused by maps and landmarks, and constantly worry we’ve missed our turn. Thank god for the blazes. Without them, I’d probably be crying under a pine tree in New Jersey right now instead of typing this story in Brooklyn. 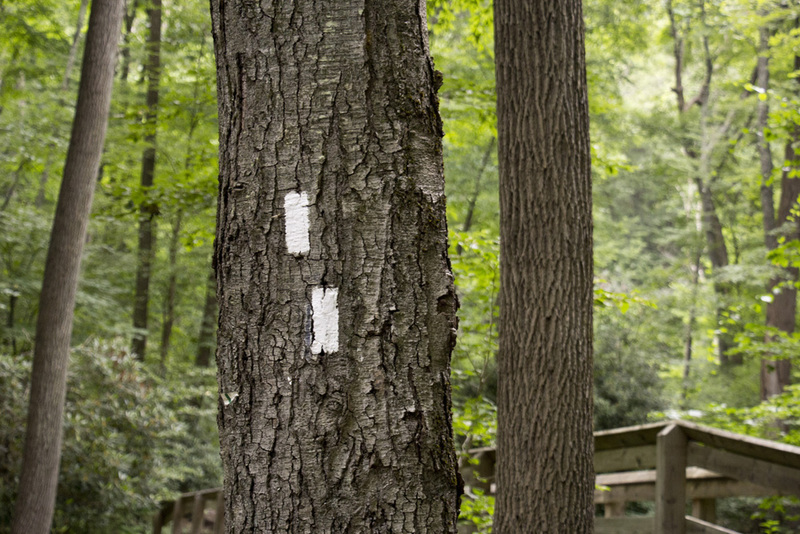 The signature white blazes of the Appalachain Trail – this marking means Left Turn. 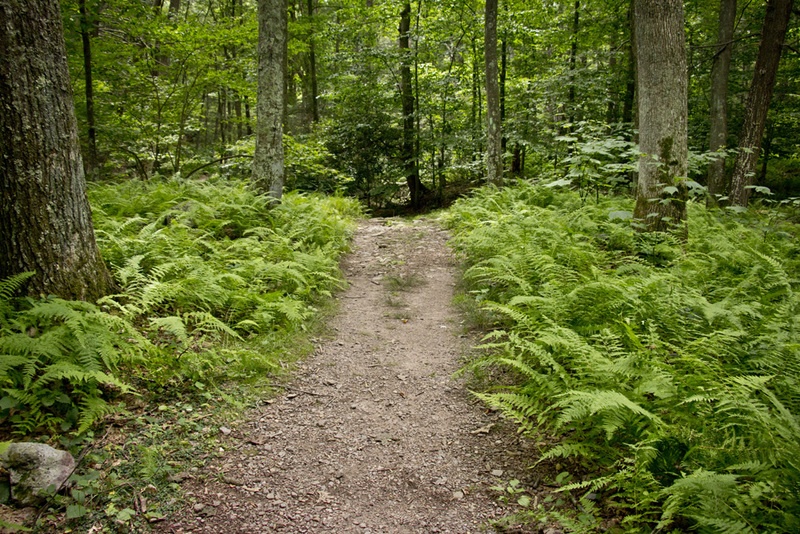 My favorite part of the hike was a section that cut through a carpet of young bright green ferns. It instantly brought me back to the forests of New Zealand. 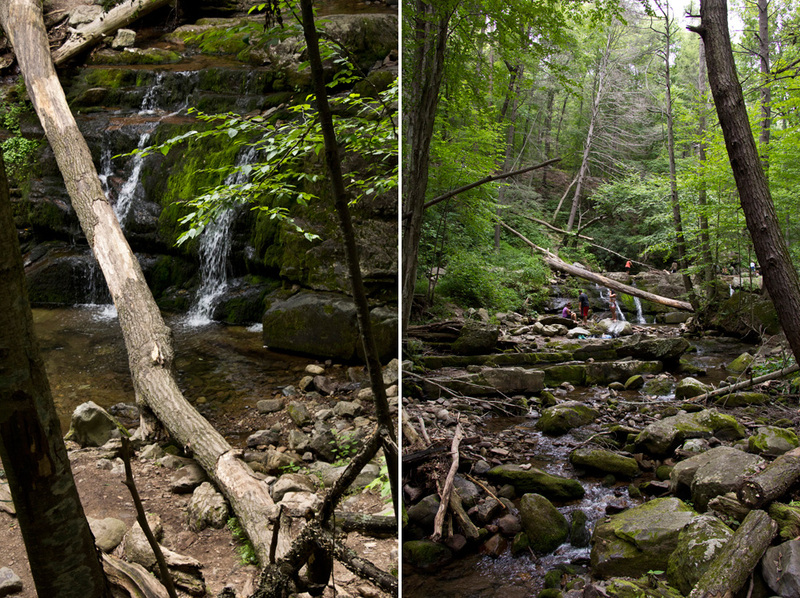 The Dunnfield section of our hike took us over and across a creek several times. Some parts were simple and shallow, others involved waterfalls and bridges. In a few spots, there were deep pools for swimming. I have never seen my dog so excited to hike a trail. She was stomping through the puddles and pulling us through the ferns and leaping over downed trees and obstacles. Despite her excitement to be out in nature, all the happiness drained from her little body when her swim lesson began. I’m not sure what it is about swimming that irks her, but I’m pretty sure she sees it as the worst possible torture ever in the world. Even when encouraged with meat and cheese snacks, she shuts down once her paws enter the water and anxiety takes over. 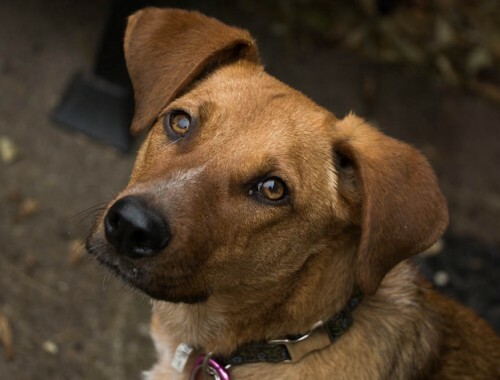 Barking, whining, a little hopping… We tried valiantly to get her to enjoy it but no dice. We even outfitted her in a hot pink life jacket to make her work a little less at paddling. Still hated it. I’m sorry, but there is no photo of said pink life jacket. She wouldn’t stop fidgeting long enough for me to take a shot. Next time, I promise. 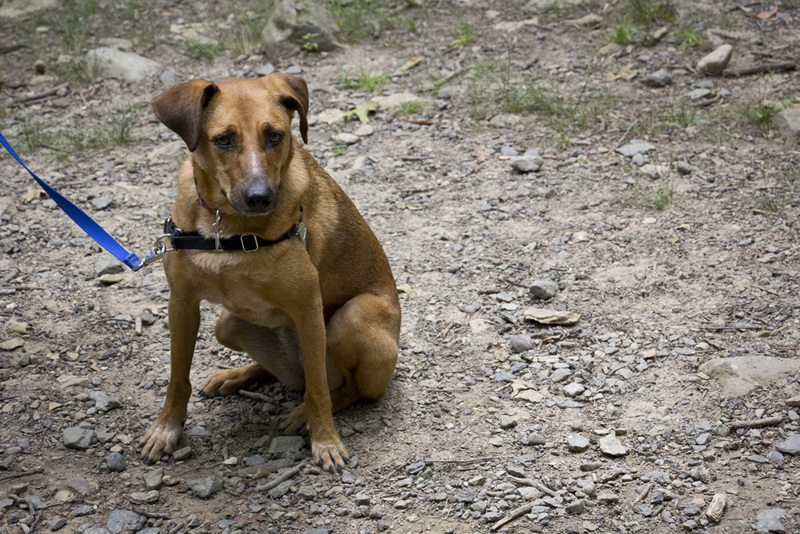 Despite her dislike of the river, the Pennsylvania Poconos were perfect for an easy New York City doggie camping trip. The drive was short, the pines trees were green, the hikes were ideal for tiring out my eager pup. I wouldn’t hesitate to return for another weekend. Unless the hipsters take it all over. Hi, I really enjoyed your article. 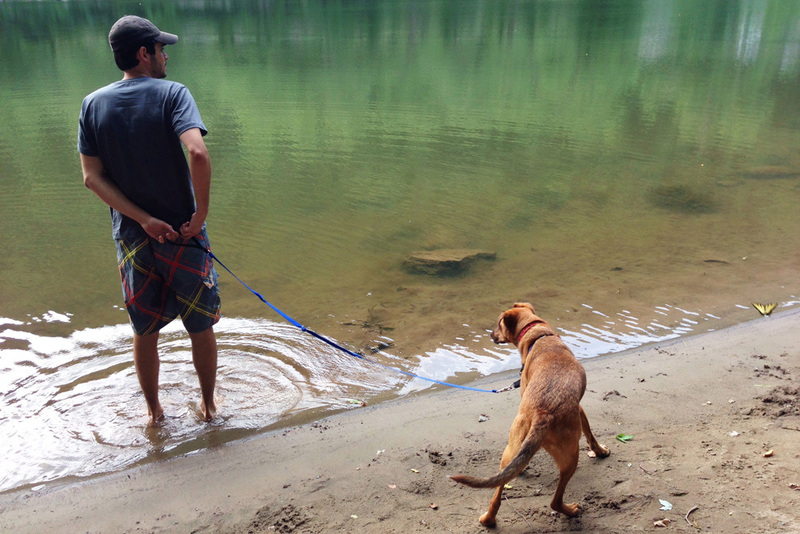 I came upon it as I’m trying to research where to bring my dog swimming while staying at mount pocono camp ground. I am travelling with my husband and a special needs girl. Me and my husband would have no problem hiking all day but my special needs friend would. 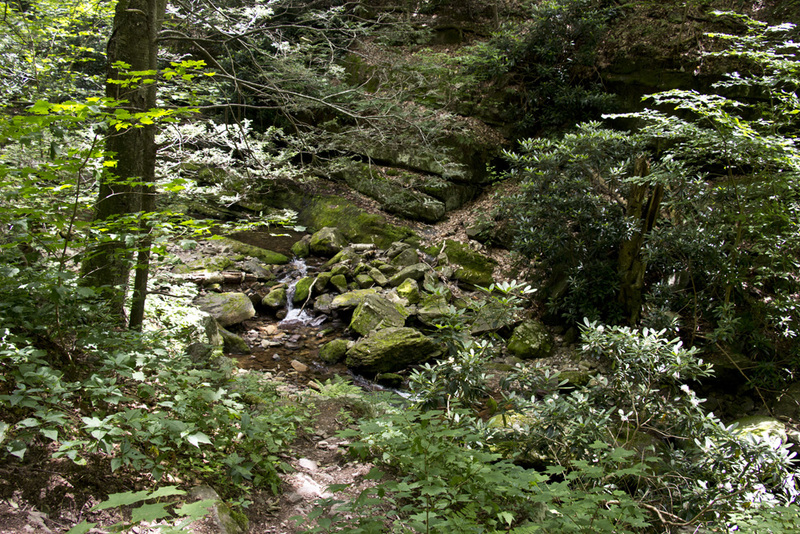 Could we get to a swimming hole by a short hike from mount pocono camp ground. I am happy I came upon your article.